I’m leaving for a three day holiday in Venice, a well deserved break, a second chance given to a city which the first time didn’t impress me much (it was probably due to the fog, as I could not see past my nose). While I’ll be wandering along the narrow alleys of Venice, tasting its great food and smiling carefree for one too many spritz, I’ll leave you with an article I wrote last year for The Simple Things, just in case you are planning a short trip to Florence. Florence, what drew you there? Probably the best answer would be friendship (yep, it was friendship, then it became love, too!). Almost all my friends live there, so I am in Florence at least three times a week to meet them. Thanks to them I started to live Florence as a local. You share a meal, an ice cream, discover markets and shops… and it happens. 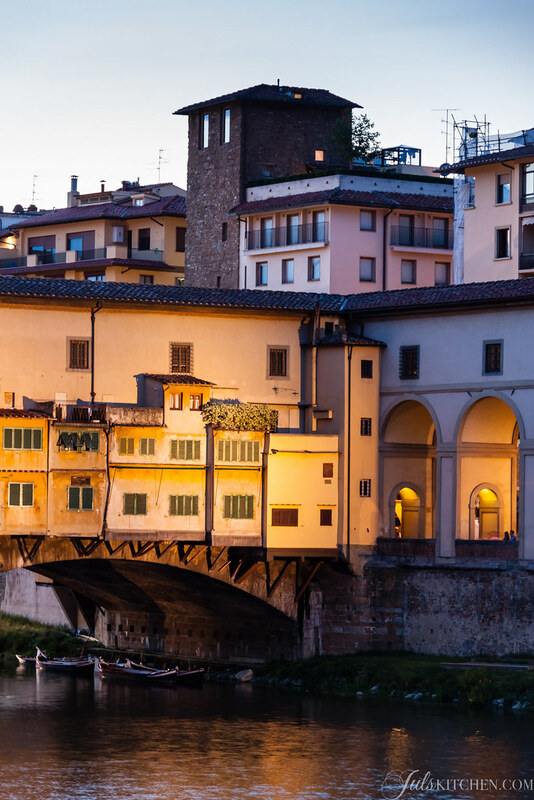 At the beginning you almost don’t realize it, but you gradually fall in love with the city, the food scene, the walks in the evening, the little narrow back lanes and you start to consider Florence a little bit your home town. What time of day do you most enjoy? It’s easy to feel the magic of Florence in the early morning, when the shops are still closed and the bars begin to open their doors to let out the smell of freshly baked pastries. Another great moment is in the late afternoon, during the golden hour: the River Arno and the setting sun create a superb drawing, you feel like living in a Renaissance painting. Where is your favourite green space? Piazza d’Azeglio is a tree-lined square surrounded by elegant buildings. There’s a children playground, silent paths in the middle of the bursting city and beautiful colours in Autumn. 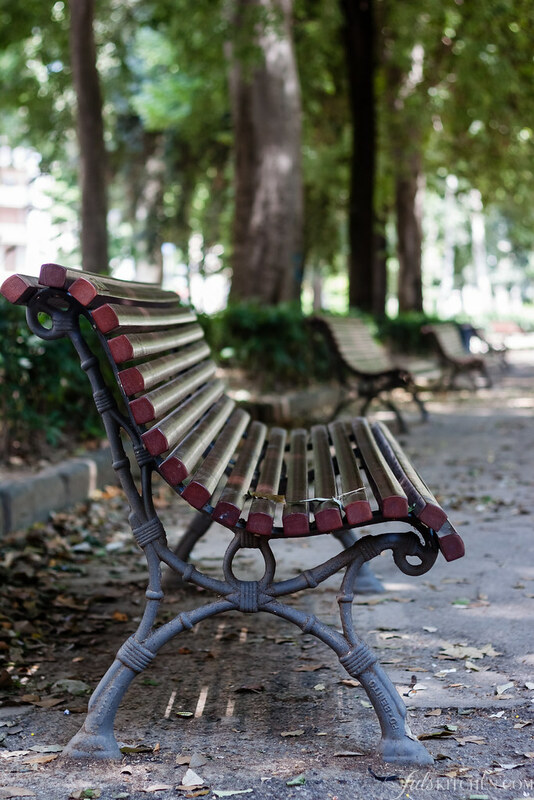 A few minute walk from Sant’Ambrogio market, it is the perfect place to enjoy your panino with ham and cheese relaxing on a bench in the shadow of an old tree. What’s your favourite way to get about the city? I’m not a big fan of driving into Florence since I am a country girl and I am used to empty roads. Besides, there’s quite a wide walking area inside Florence, all around the historical centre. So I walk, walk, walk. It’s true, the best way to discover a city is to get lost there. Enjoy the narrow backroads, the private gardens of the historical buildings and the tiny shops off of the main touristic routes. Then you just look up and search for the Duomo to have your guiding landmark. What are your favourite places to gather with friends? We usually hang out after work in a bar or café to have a drink, or better, an aperitivo, enjoying some nibbles with our beer or cocktail. Golden View Open Bar, just next to Ponte Vecchio, in Via dè Bardi 58/r, has the perfect atmosphere to relax at the end of the day with a unique view on Ponte Vecchio, the River Arno and the Uffizi. Try the fruit cocktails, made with fresh seasonal fruit. If you are a wine lover, do not miss Le Volpi e L’uva, a wine bar in Piazza dei Rossi 1, where you can enjoy also tasty crostoni with your glass of wine. Where do you like to go with friends? In the evening, when there are less people around the historical centre, we just choose a gelateria to enjoy our gelato while walking in the desert streets. There is plenty of choice: the brand new Gelateria Edoardo, in Piazza Duomo, for an artisanal organic ice cream, Gelateria Carabé (this would be my number one choice) in Via Ricasoli for a Sicilian granita or the best pistachio ice cream, Gelateria dei Neri, in Via dei Neri 22 for my favourite chocolate ice cream. Where do you like to go alone? I’m quite a romantic person, I love day dreaming, creating plots and listening to my favourite music while walking or driving. Well, every time I’m alone and I’m driving in Florence, I cannot help but stopping by Piazzale Michelangelo, a big parking overlooking the city. Usually it is crowded with tourists, but you can blend yourself into the crowd. 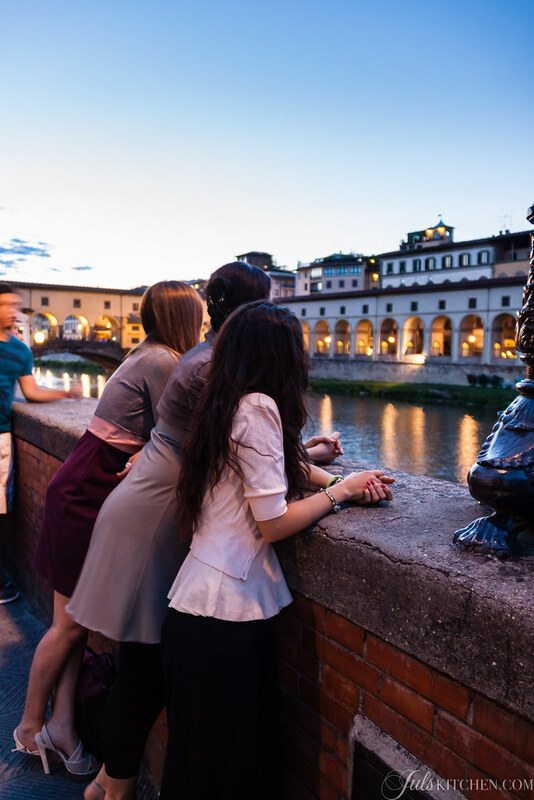 Find your spot, lay against the brick wall and admire the city with the Duomo, Palazzo della Signoria, the Arno river and the red roofs. If you stretch your hands you can almost touch the Duomo, you will feel Florence a little bit yours. It is breathtaking during the day, amazingly romantic during the night. What games do you play as you go about your everyday life? Clet Abraham is a French artist living in Florence, he has amended street signs across Europe with stickers to entertain and make people think about blindly obeying orders. I love walking with my nose up in the air to discover his pieces of work. You can find them in the most unexpected places. He also runs his gallery in Via dell’Olmo 8R. Bizzarri – Via della Condotta, 32 – A century old charming and mysterious shop with wooden shelves and big glass jars which preserve the ancient apothecary wisdom. You will find spices, essences and tinctures as well as everything you’d need for restoring, painting and photography. Oro Nero – Piazza Pitti, 1 – Just in front of Palazzo Pitti, it is a little hidden treasure, a tea shop with an incredible selection of teas, run by two talented sisters. It is where I was introduced for the first time to pu-erh and oolong teas. Mercato di Sant’Ambrogio – Piazza Ghiberti – Fruit, vegetables, meat, cheese, clothes and flowers. You will find mostly locals. Buy a panino and some fruit and enjoy your lunch in the nearby Piazza D’Azeglio. Mercato di San Lorenzo – Piazza San Lorenzo – Food, fruit and vegetables in the indoor market, clothes and leather products outside. More touristic but just around the corner of the Duomo. Do not miss a lunch at Nerbone inside the market. 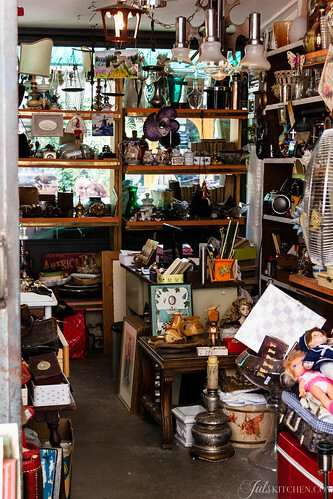 Antique market at La Fortezza – This market is held every third weekend of the month in the park surrounding la Fortezza, from September to June. There is no screaming, shouting or attempt to bargain, you can barely hear the city traffic in the distance, muffled by the trees of the park. You see people rummaging into old boxes of silverware and brass handles, you hear the laughter of children running free along the pond chasing the ducks and the more or less credible talks among cunning vendors and curious customers. Chiaroscuro – Via del Corso, 36 – Pop by for breakfast for a cappuccino and a tiny rice tartlet, or enjoy a chat over a cup of your favourite coffee in the afternoon. Wide selection of coffees and teas. 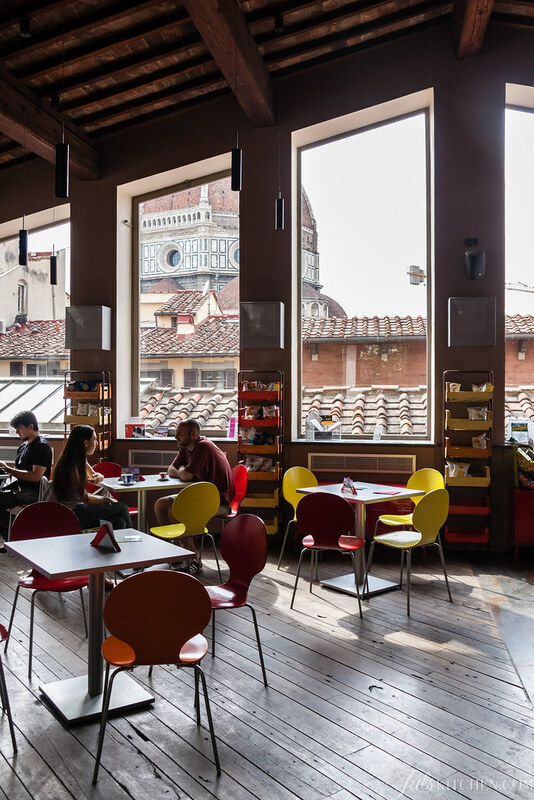 Caffetteria delle Oblate – via dell’Oriuolo, 26 – Inside the Oblate Library, it is the place to be if you want to take some time for yourself, enjoy a cultural event or try the excellent food in a relaxed and comfortable atmosphere. Superb view on the Duomo. Ditta Artigianale. One of the best spots to have a coffee in Florence, Ditta Artigianale is a modern and hipster bar for all you coffee geeks out there: espresso, pour over, cappuccino, latte, flat white, aeropress, syphon and cold brew. It is also a remarkable gin bar. Golden View Open Bar. Just next to Ponte Vecchio, in Via dè Bardi 58/r, it has the perfect atmosphere to relax at the end of the day with a unique view on Ponte Vecchio, the River Arno and the Uffizi. Try the fruit cocktails, made with fresh seasonal fruit. Le Volpi e L’uva. If you are a wine lover, do not miss Le Volpi e L’uva, a wine bar in Piazza dei Rossi 1, where you can enjoy also tasty crostoni with your glass of wine. Trattoria Sabatino. Rustic traditional trattoria where you will find mostly locals. Simple inexpensive food, generous portions. Osteria Tripperia Il Magazzino. Cozy trattoria in Piazza della Passera where all offal lovers can enjoy an unforgettable meal: lampredotto meatballs, tripe and fried brain. Trattoria Cibreo. Seasonal Tuscan food prepared by the chef Fabio Picchi, this trattoria is right next to the best market in Florence, Sant’Ambrogio. Da Nerbone. This trattoria is located just inside the food market of San Lorenzo, a must for lampredotto, boiled meat and arista. Vini e vecchi sapori – Via dei Magazzini 3r. Close to Piazza della Signoria, it is a tiny osteria loved equally by locals and tourists, so you might need to reserve your table. It is run by a lovey family, with a hand-written menu which changes daily. They have a superb tiramisu. Irene Firenze – It is the Hotel Savoy bistrot in Piazza della Repubblica. The extraordinary Italian chef Fulvio Pierangelini designed the menu, and this would be enough to label the experience as memorable. It serves innovative Tuscan food with an incredible attention to the quality of the ingredients and the seasonality. Every ingredient shines through the dish, flavours are clean and comforting. Il Guscio – Via dell’Orto 49a. Cosy restaurant in the San Frediano neighborhood with good honest food. Mago Balducci – Via Guglielmo Marconi 24, Firenze – Cozy little bar where to have a lunch on the go or an aperitivo. Florence is famous for its hearty street food, panino al lampredotto. Lampredotto, the fourth stomach of the cow, is served hot in a sandwich with a tasty salsa verde and a good pinch of black pepper. I just love queuing with workers and tourists, grab my panino and enjoy it looking at the other people passing by. 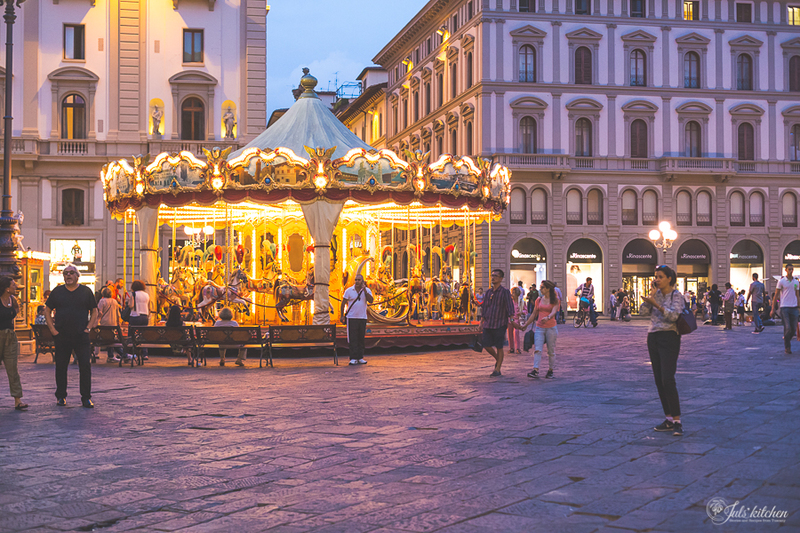 There are many stalls throughout the city where you can taste it, these are my favourites: L’Antico Trippaio, Via dei Cimatori 16 and Il trippaio del Porcellino, Piazza del Mercato Nuovo, close to Ponte Vecchio. My love at first sight is Semel, in Piazza Ghiberti, right in front of the Sant’Ambrogio Market. Go there if you are looking for the freshest panini with the most unusual and gourmet filling, from donkey meat to puntarelle with anchovies and orange, up to ricotta and spinach dumplings with pheasant in a sandwich. Yes, in a sandwich. I Maledetti Toscani is a tiny shop in via dei Cerchi 19/r, close to via dei Calzaiuoli, just in the historical centre of Florence. Choose among cold cuts, cheeses, vegetables and spreads to fill your panino or focaccia and have a glass of wine. Cheap and oh so good. All’Antico Vinaio, in via de’ Neri, is another option if you want a generously filled panino at a very good price in the town centre. Be ready to face a queue as long as to get into the Uffizi. Amblé – Piazzetta dei Del Bene, 7/A, Firenze – It is less traditional, slightly hipster with a vegetarian attitude, here you can compose your sandwich choosing among a wide range of bread, vegetables, meat, fish and spreads. Excellent juices and teas. Libreria Brac. It is a contemporary art bookshop with a small inner garden and a relaxed atmosphere where you can sit and read while sipping a coffee, a tea or an herb infusion. A vegan and vegetarian menu which suits the location. Todo Modo. An independent bookshop, where you can buy new and second hand books and ebooks, a bar where to enjoy a quick breakfast or a proper meal, and a small theatre for lessons, meetings and concerts. Paperback exchange. 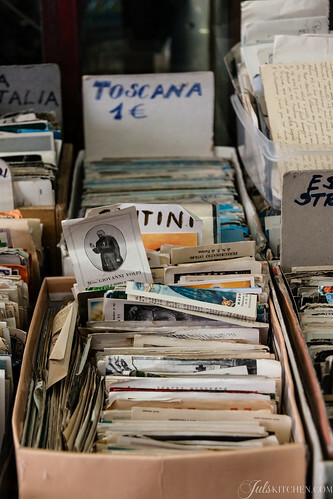 A small family business, an independent English language bookshop where you can buy new and second hand titles in the centre of Florence, just a few steps from the Duomo. Friendly and lovely staff. Biblioteca delle Oblate. It used to be a medieval convent, now it is a three-storey public library and a cultural and multimedia centre. Quiet, young, colourful, with the most spectacular view over the cathedral and the bell tower. Harold Acton Library. The British Institute of Florence and its Library have always played an important role in the Anglo-Florentine cultural life. A cozy place to visit to borrow a book or to attend lectures and films. Every Thursday they offer also an afternoon tea. Laurentian Medici Library. It is a historical library in Florence, located in a cloister of the Medicean basilica di San Lorenzo and designed by Michelangelo himself. Today it contains more than 11.000 manuscripts and 4.500 early print books. Rivoire. Serious business meetings and first dates have been celebrated at the tables of this historic café just as whispered chats with friends, accompanied by some almond paste cookies. They are famous for their hot chocolate. 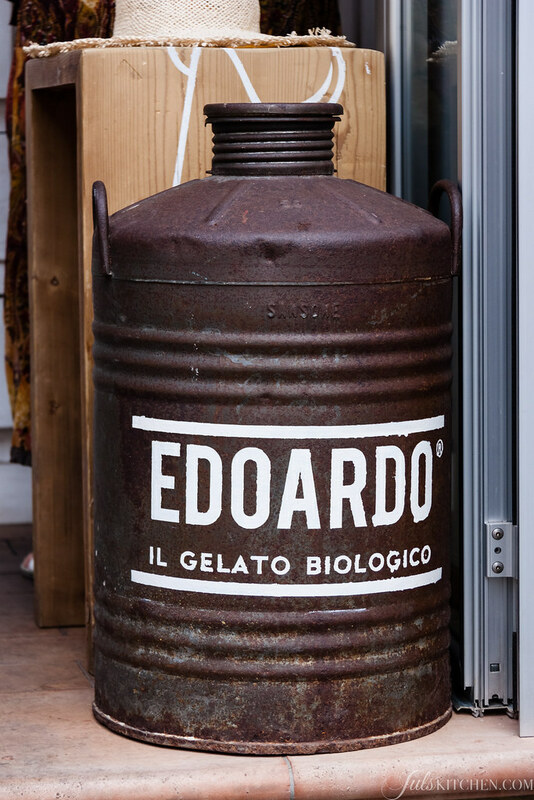 Gelateria Edoardo. Try this ice-cream shop for an artisanal organic gelato, made with the best seasonal ingredients. Gelateria Carabé. This is the right place for a Sicilian granita or the best pistachio ice cream in town. Gelateria Roberto – Via Giovan Filippo Mariti 3, Firenze – If you want to taste a fabulous Crema Buontalenti, this is the place to go. Gelateria la Sorbettiera – Piazza Torquato Tasso 11/r, Firenze – Tiny gelateria loved especially by locals, who queue during summer at night to have their share of refreshment. Lemon and sage is my favourite taste. The British Institute in Florence. The Harold Acton Library has an interesting list of events, from the Shakespeare week in April to lectures held in Italian and in English about history, art, politics and cinema. Red. The Feltrinelli bookshop in Piazza della Repubblica has a space to feature authors, organize book launches and host meetings and lectures. Casa di Dante. The house where Dante Alighieri, the author of La Divina Commedia, was born is now a museum, a memorial site to spread knowledge of Dante’s life and works. Caffè Le Giubbe Rosse. Located in Piazza della Repubblica, it is one of the most important historical cafés in Florence. In the 1910s it was here that the futurist movement would meet regularly. It was easy to meet there, sitting at the tables, writers and intellectual figures as Giovanni Papini, Aldo Palazzeschi, Mario Luzi, Elio Vittorini, Vasco Pratolini and Eugenio Montale. Cattedrale di Santa Maria del Fiore – Piazza del Duomo – Look up at the magnificent Brunelleschi’s cupola, unique in the world. Basilica di San Miniato al Monte – Via delle Porte Sante, 34 – An elegant romanic church perched atop a hill overlooking Florence. 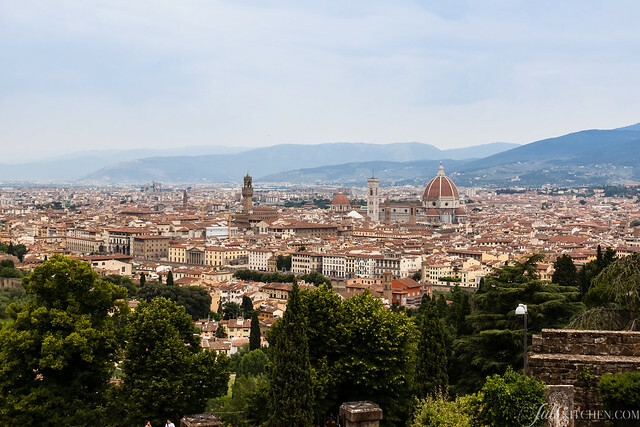 It is one of the highest point of the town, quieter than the underlying Piazzale Michelangelo. Enjoy the view and the fresh breeze. Valdirose B&B. A few kilometres from Florence, Valdirose is a family run B&B with an unmistakable charm. Irene, the owner, has a gentle touch which can transforms your everyday reality into a romantic and elegant dream. This is a place where you will feel at home from the very first moment, where the generous home made breakfasts are the perfect start of the day, with cakes, jams, cookies and granola. Il Quartino. Cucina povera at its best not far from Florence. Osteria Staccia Buratta. Tiny Tuscan osteria just outside Florence. What a great guide! I’ve been to Florence twice but your post gave me new ideas where to stop by next time! I really like the Oblate Library cafe!!! I can’t wait to read your impressions of Venice. I was only there for a few days but I really want to go again. I was there in October so it wasn’t too crowded. Please – lots of pics and blogging! Gorgeous photos! Can’t wait to visit Florence this summer. Great list! I love the chai teas at Chiaroscuro and views from Oblate! Gorgeous photos, as always. LOVED this post! Grazie mille! 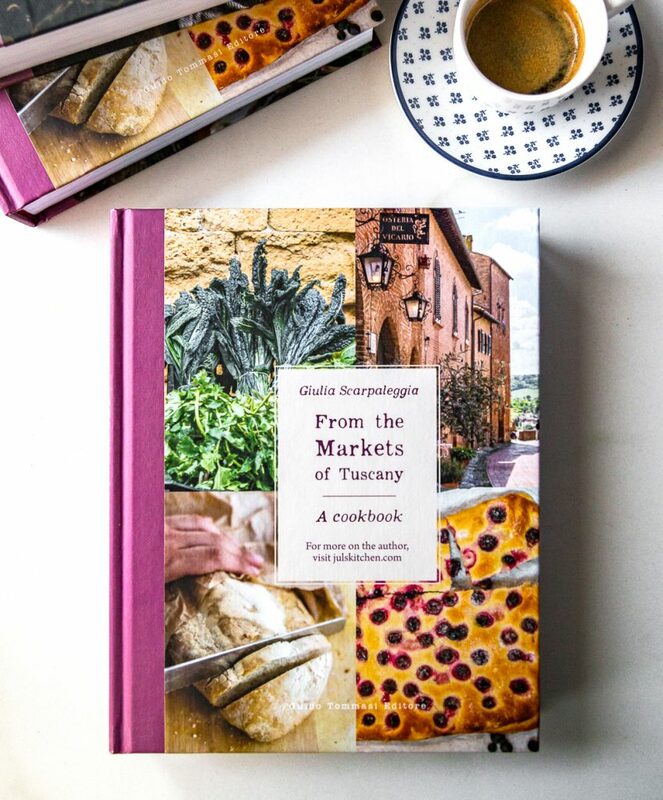 Hi Giulia, I”m going to spend 1.5 days in Florence in less than 2 weeks’ time & I’m busy noting down your tips ;), and just a quick q: do you have any favourite bakeries/pastry shops? Or sources for panforte? I’m not much of a gelato girl, but give me cake any time! Ciao Ptasia, yes, definitely go to S.Forno, it’s the ideal bakery, and there you’ll find fresh and fragrant bread and all the seasonal treats! as for the panforte, you’ll have to go to Siena to find the original one! Thanks, S. Forno added to Google maps! 🙂 Siena: ah, I’ve already been ;), in April. Actually I brought back some panforte from San Gimignano (for my Mum – who found it meh, but ate it anyway) and from an abbey we visited (for me – and I loved it! ).